Take a look at how brands activated at music festival Panorama. 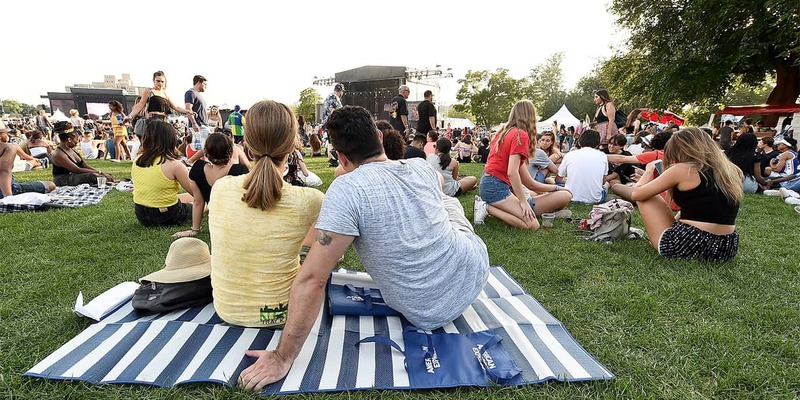 Music festival Panorama had a bleak start to its three-day event—held each year on Randall’s Island in New York since its inception in 2016—thanks to some severe thunderstorms in the area. Those storms eventually led to an evacuation of the festival early Friday evening and cancellations from artists like Lil Wayne (who was set to perform the following day) due to travel delays. Even with the minor chaos—including that wonderful reminder to attendees as they were leaving the island Friday to stay away from all metal structures, including the metal ramp leading up to the ferry—brands still came out in full force to entertain attendees. American Express, HP, JBL, Bud Light, Zenni and others occupied the grounds for the weekend providing everything from free glasses from Zenni to a chance to win some new headphones courtesy of JBL. Those booths also provided some solace from the downpour on Friday. HP, however, stole the show this year with its massive tech-powered playground, or Digital Eden as the brand called it, for attendees to explore. First up, the brand created a special lounge perfect for escaping the heat, or rain. 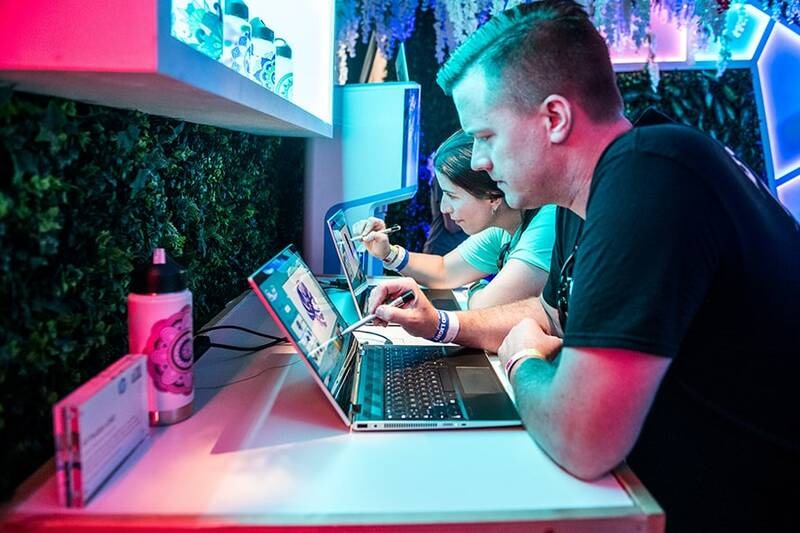 Inside the oasis, attendees could design a custom water bottle using the HP Spectre laptop, and print and fill them on site. There was also an interactive photo booth where users could draw their own text on the image. The star of the show, at least inside the lounge, was a magnificent flower installation hanging from the ceiling. 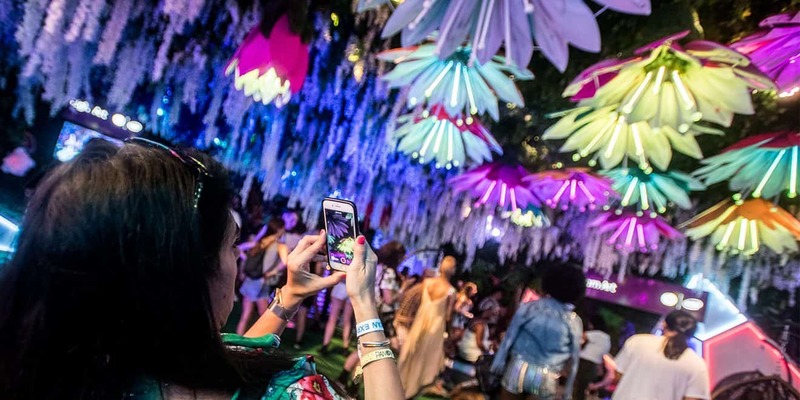 Attendees could use HP’s technology and products to program their own light show, selecting different colors for the lights to display as the flowers bloomed. 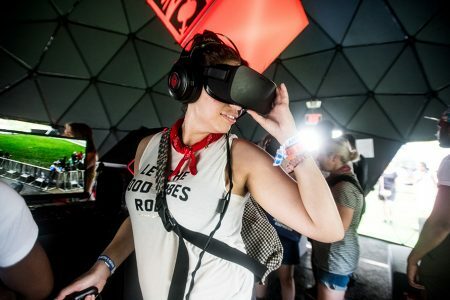 “These activations are designed to bring our technology to life but also celebrate creativity, which is what this festival is all about,” said Emily Ketchen, regional head of Americas marketing at HP. Of course, what experience would be complete without a spin with some virtual reality? HP provided fans with a chance to slip on some VR goggles and experience a performance from any of their favorite artists on stage as it was happening live, powered by HP technology. A returning experience from HP was the brand’s signature dome, which has toured to other festivals including Coachella, but got its start at Panorama. Inside the dome, the brand puts out a bunch of beanbag chairs for people to sit on and then you simply look up to take in the incredible 360-degree virtual reality experience. Think movie theater but so much cooler. 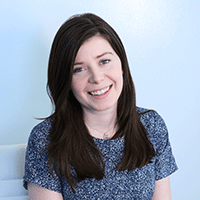 Katie Richards is a staff writer for Adweek.